Our Junior High Boys Basketball Team competed in the annual St. Joe Lions Club Tourney at St. Joseph High School on January 21st. The Cougars brought home the 16 team West Division title. 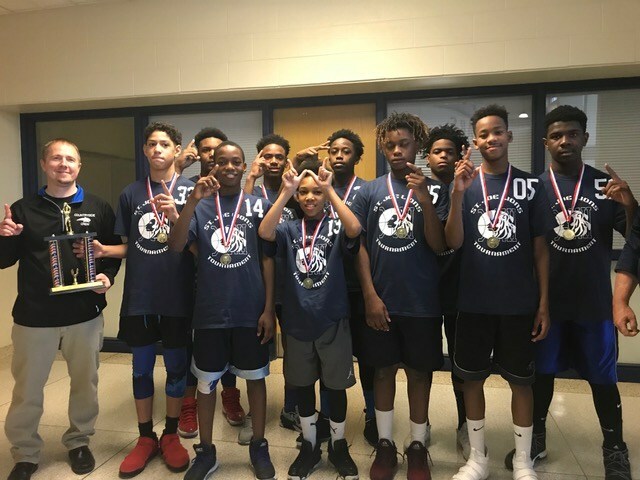 The Junior High Boys Basketball Team competed in the annual St. Joe Lions Club Tourney at St. Joseph High School on January 21, 2018. The Cougars brought home the 16 team West Division title by defeating Benton Harbor (53-41), St. Joe Upton (50-39) & Niles (61-30) in dominating fashion. Countryside definitely raised some eyebrows at the tournament! 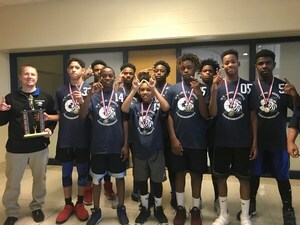 I had numerous people (coaches, parents, tournament officials and even a St. Joe police officer) throughout the day stop me and say "Wow, that team is good"! The team finishes the season with an 11-2 record. The only 2 losses were both in overtime. Great Job Boys! !